I found myself craving fruit snacks out of nowhere last week. I headed down the hall to the vending machine and grabbed a bag. After eating about 4 of them I realized that they tasted kind of awful. Where were the Fun Fruits and Shark Bites of my childhood??? Those are what I missed! After a little bit of searching I found Shark Bites, however, I could not find Fun Fruits. How did these get discontinued? Then came denial and more fruitless internet searching. Until I stumbled upon a lip gloss that was reviewed as tasting just like Fun Fruits. Skeptically, I went to Sephora to see if the rumors were true. I was not disappointed one bit. 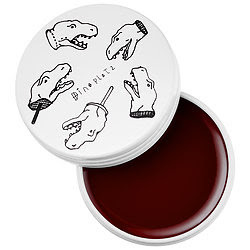 Dinoplatz Lip Balms by Too Cool for School were right up my alley. The colors and flavors are incredible, just like Fun Fruits! 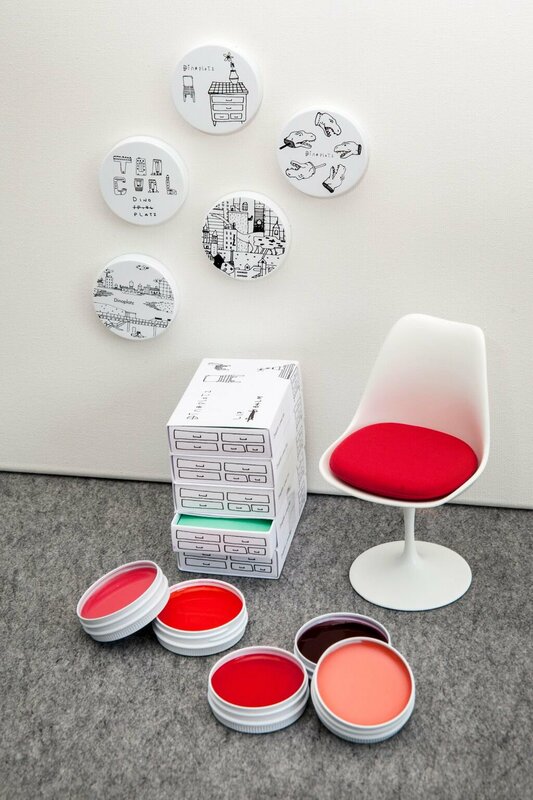 I'd be lying if I said that the packaging and branding aren't also a huge draw for me. I ended up buying the "Spilled Wine" flavor/tint. Click the header to get your own!